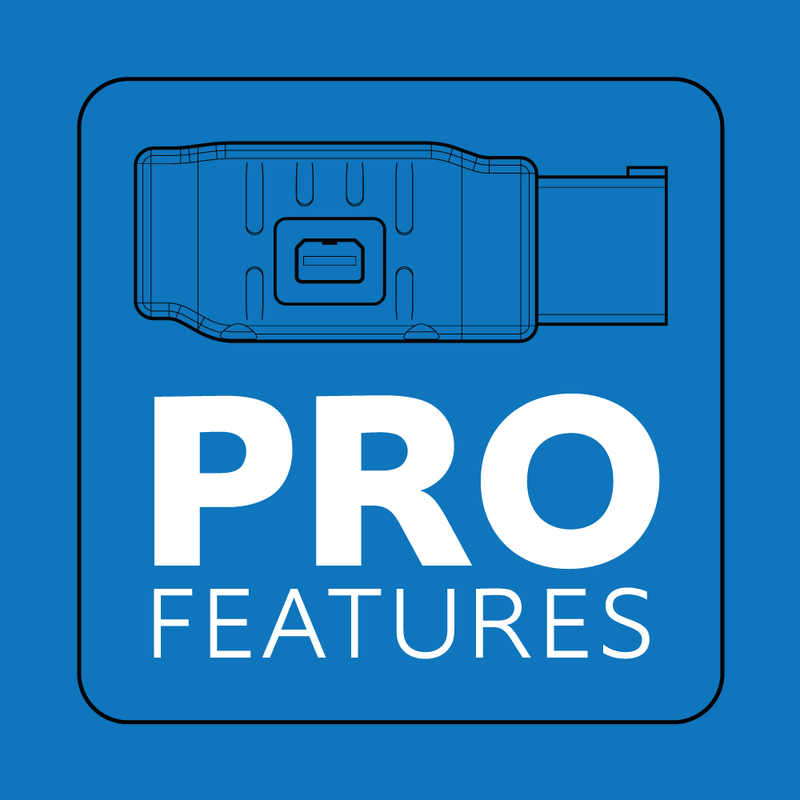 Add Pro Feature to your MPVI2 VCM Suite. Only need 1 to 3 inputs? Pro Link is the best solution for you, allowing 2x analog input signals and 1x CAN bus input signal simultaneously. To learn more about Pro Link click here. Need more than 3 inputs? Expander Hub is the solution you have been waiting for. More information will be available soon, Expander Hub launches Q1 2019. New MPVI2 Buyer – Purchase an MPVI2 with Pro Feature Set and the Pro Link cable will come FREE in the MPVI2 box. Existing MPVI2 Owner – Purchase Pro Feature Set and receive Pro Link for FREE (plus shipping). 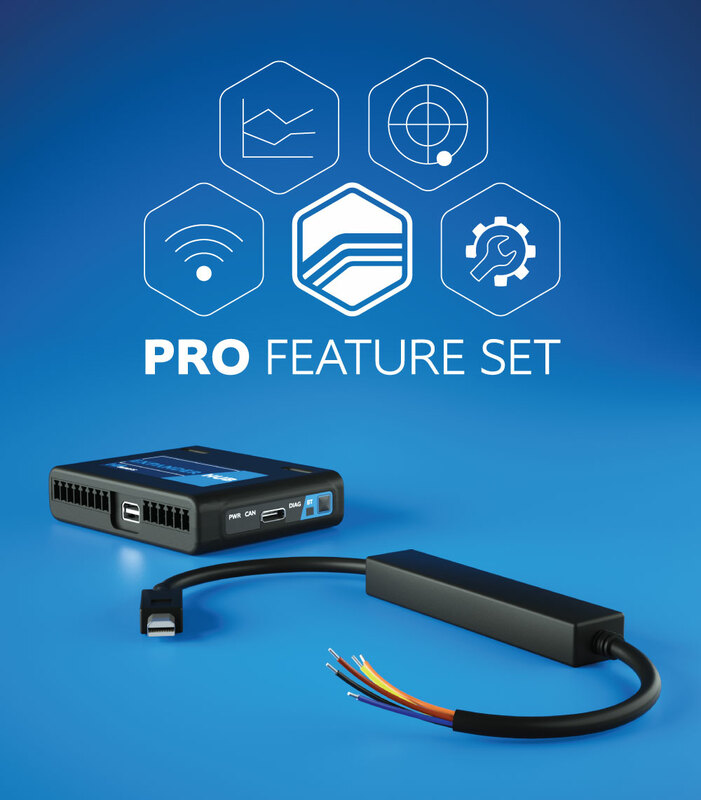 Upgrade MPVI Std Owner – Upgrade MPVI Std to MPVI2, you must also purchase Pro Feature Set to receive a Pro Link (plus shipping). Upgrade MPVI Pro Owner – Upgrade MPVI Pro to MPVI2, Pro Feature Set and Pro Link is provided FREE of charge (plus shipping). Existing Upgraded MPVI2 Owner – Already upgraded your MPVI Pro to MPVI2, Pro Feature Set and Pro Link is provided FREE of charge (plus shipping) for a limited time only. Contact SUPPORT HERE with your existing MPVI2 interface number should you require a Pro Link cable. Pro Feature Set can be purchased from your MY ACCOUNT and MY DEVICES page here.